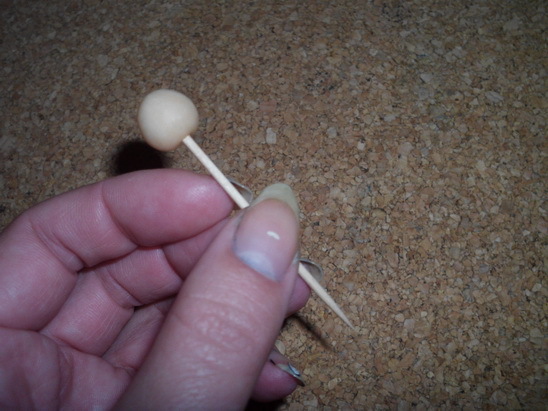 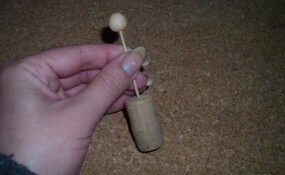 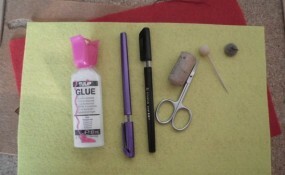 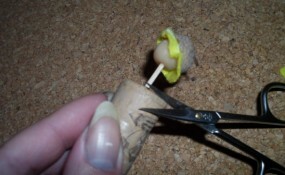 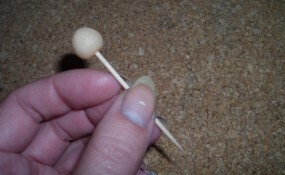 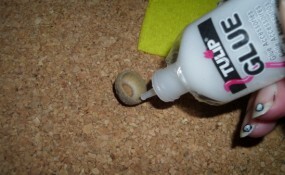 Glue the wooden bead on toothpick. 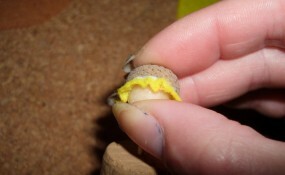 … until there are about 0.5 cm left. 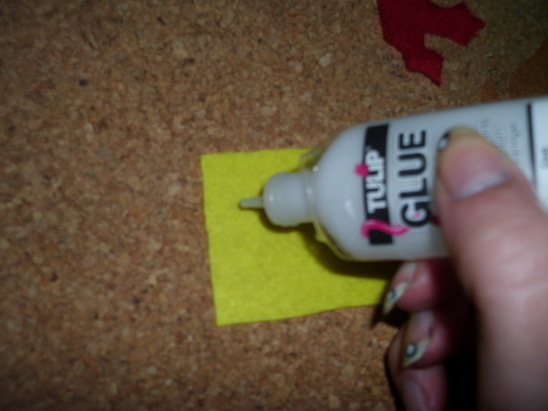 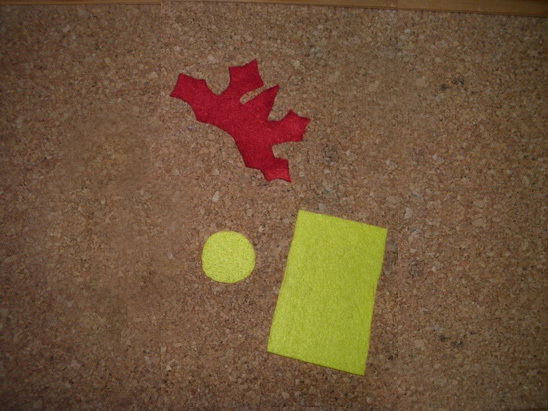 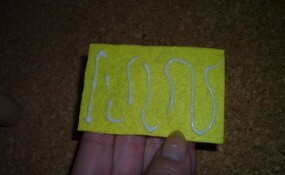 Draw a circle and a rectangle on yellow felt. 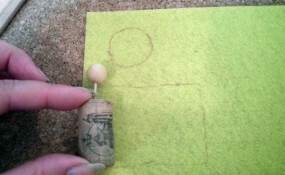 The circle must be a little bigger than the wooden bead and width of the rectangle must be from the bottom of the cork to the wooden ball. 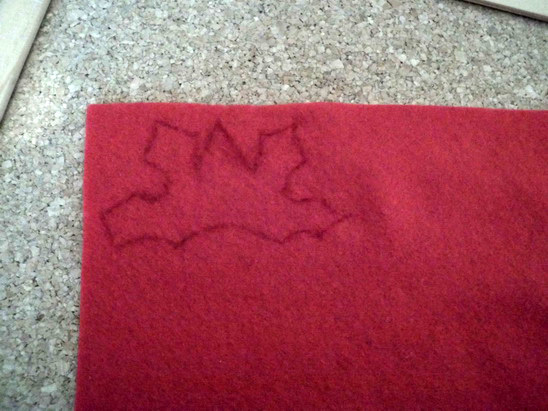 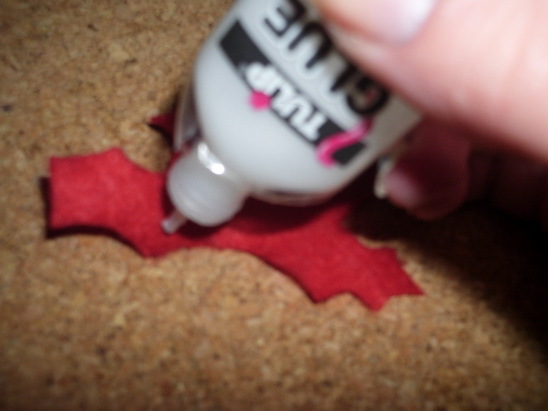 Also draw a shape like this on red felt. 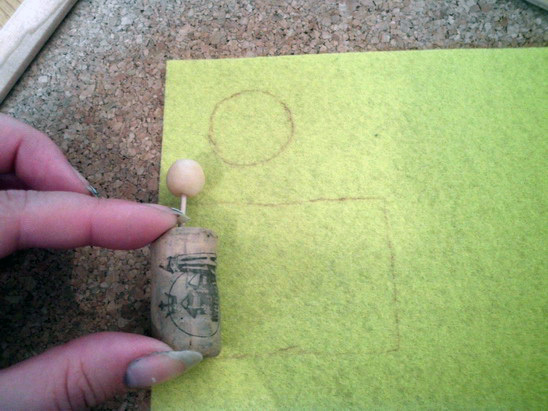 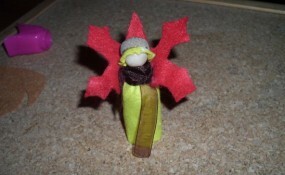 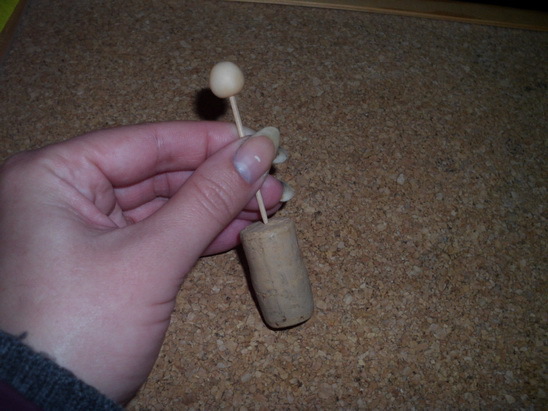 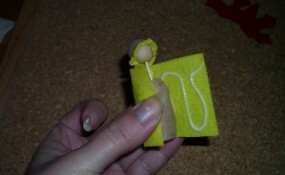 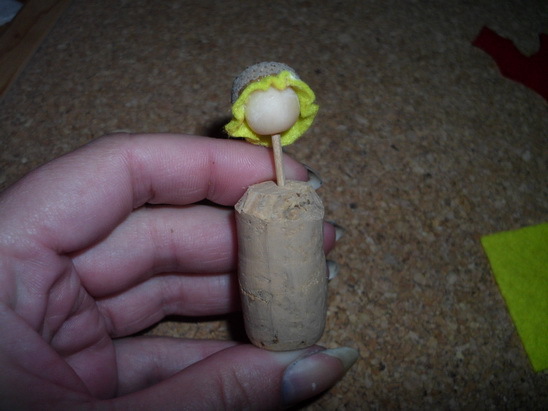 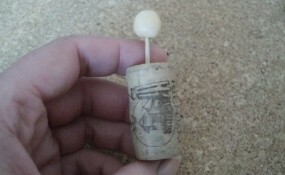 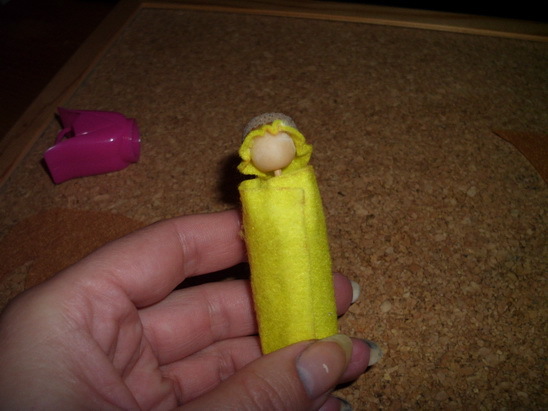 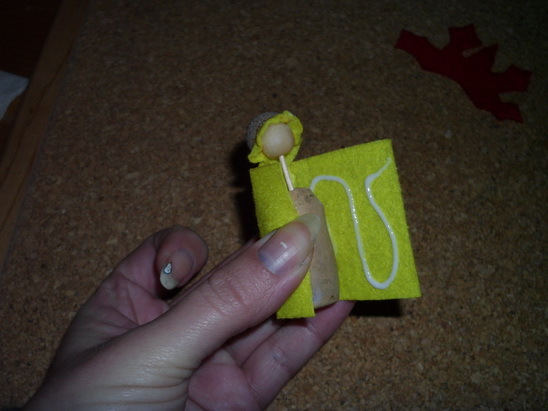 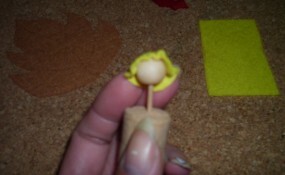 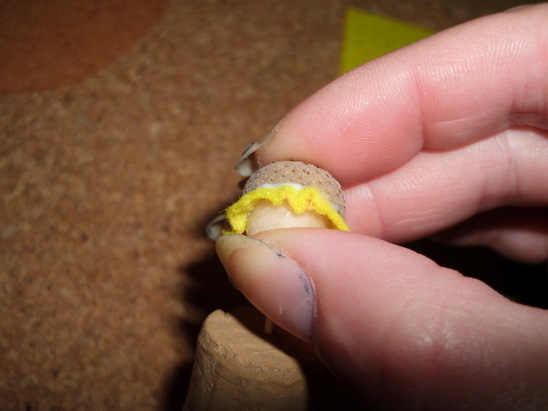 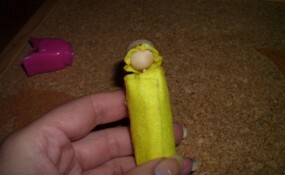 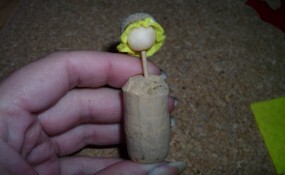 … and place it on the wooden bead, like this. 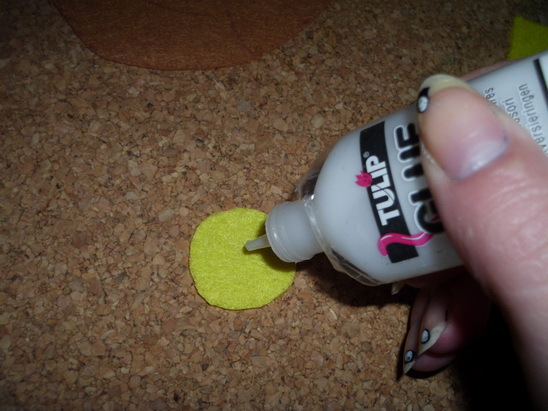 … then fix it over the yellow circle. 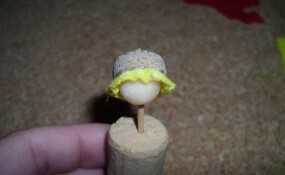 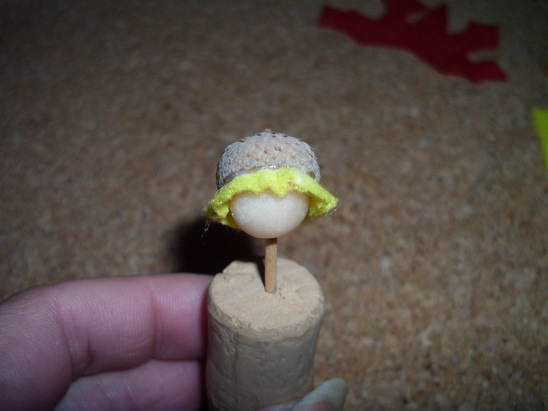 You have now the head with yellow hair and acorn hat. 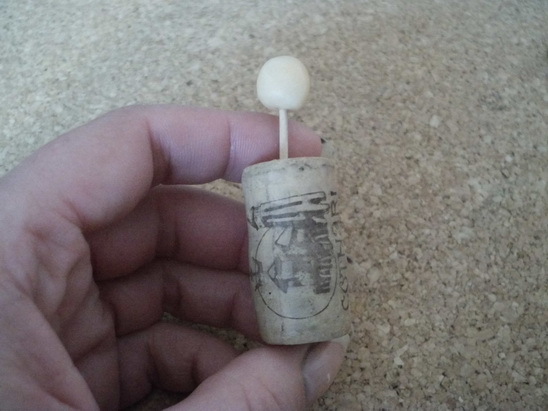 And cover the cork with it. 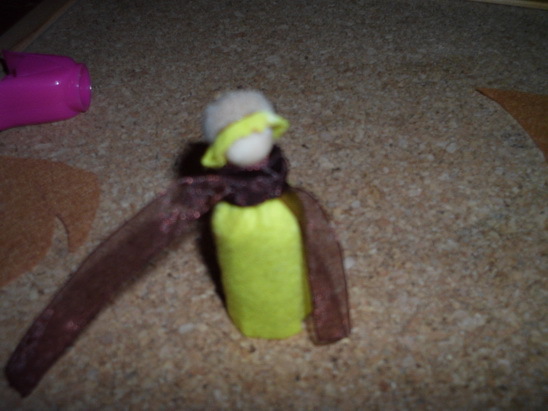 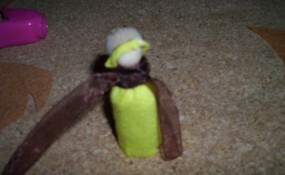 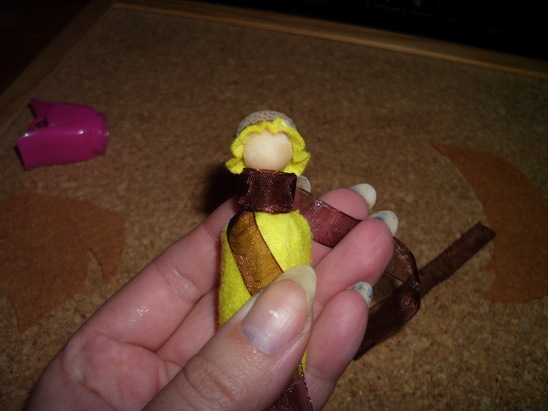 Wrap the ribbon around the neck, over the yellow rectangle but take care to let the hair free. 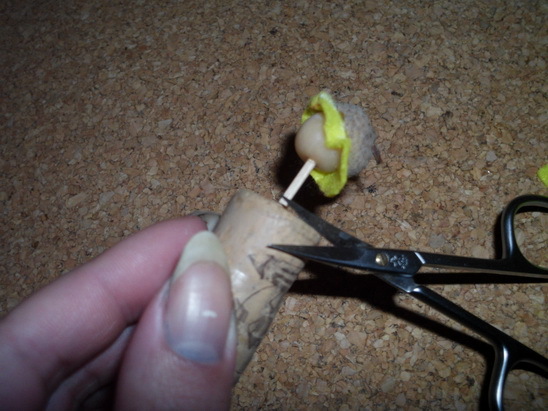 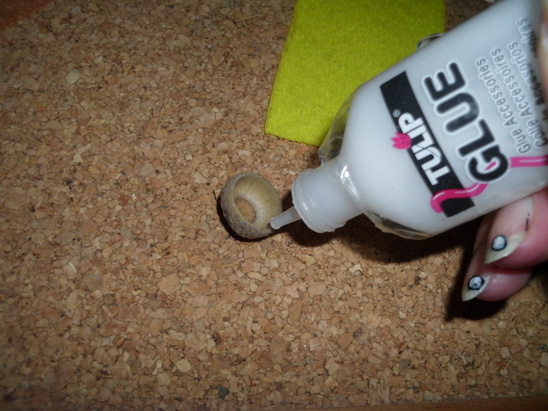 Make a knot to keep it in place. 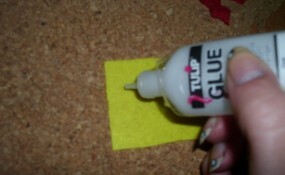 You can cut the ribbon ends if they are too long. 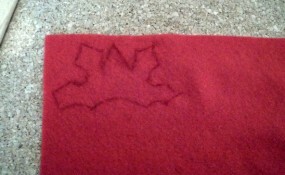 … and fix it over the ribbon, like this. 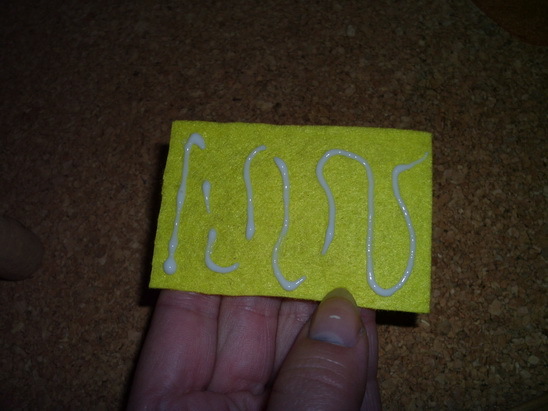 Let it dry well. 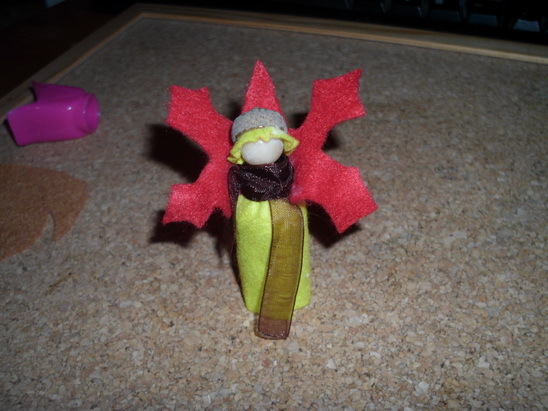 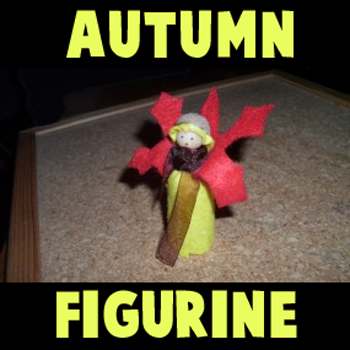 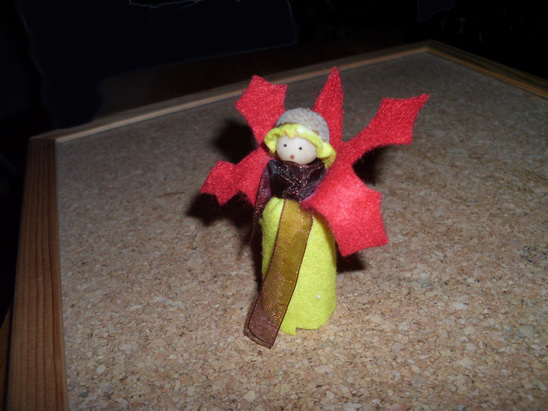 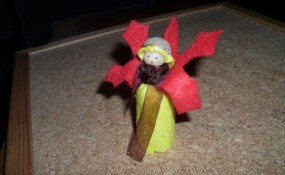 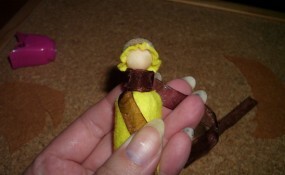 I hope your Autumn Fairy Doll turned out great. 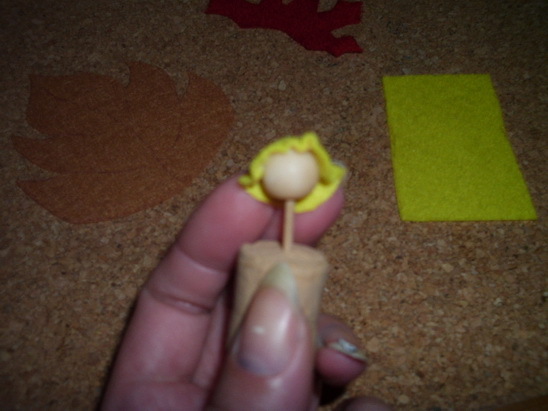 This would be a great decoration for the Thanksgiving table or any dinner in Autumn. 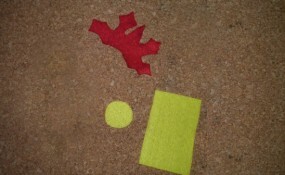 I hope that you had fun. 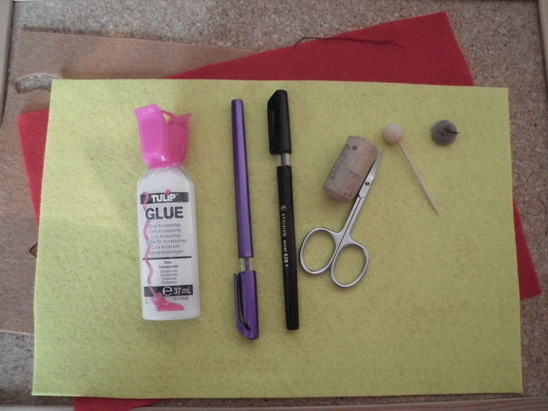 Come back soon for more crafts.